It doesn’t take an expert to know that Mumbai is synonymous with congestion, noise and pollution. And yet in all this chaos, Mumbai has managed to nestle a Butterfly Park, popularly known as Maharashtra Nature Park. WWF (India) – a wild life and nature conservation organization, conceived the concept for a nature park way back in 1970. 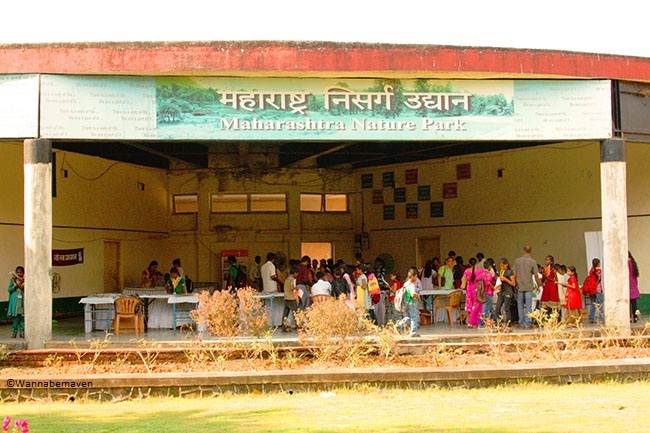 More than two decades later, we have Maharashtra Nature Park. Obviously, the course of allocating acres of land and planting lakhs of trees must have been an arduous task. In a city that finds it difficult to even accommodate houses, where is the space to develop a nature park? So, WWF-India with the help of Mumbai Metropolitan Region Development Authority (MMRDA) converted acres of dumping grounds in Dharavi into this nature pleasing space. The motive behind creating a nature park is definitely the extinction of mangroves in the Mithi river and to provide some relief to a city sitting on a burner at the moment. 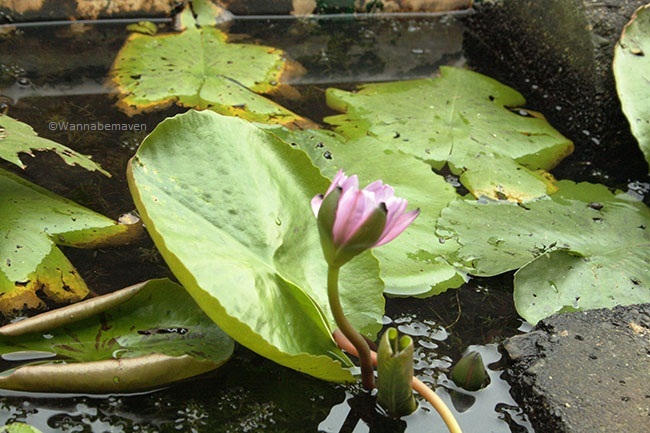 A nature park in Dharavi may seem quite ironical initially considering Dharavi is claimed to be Asia’s biggest slum. But all misconceptions are put to rest once you step into this tranquil place. The outset of your expedition is marked by a warning from the park employee to watch out for snakes while meandering. Take the caution seriously, as he is not exaggerating. But this should not deter you in any way from exploring this nature’s bliss. Birds chirping, butterflies hovering and more than 200 species of trees give you the impression of a fairytale. The deeper you venture into the forest, the farther you seem to move from city chaos. There are trails that help you make your way inside the park. You can walk right uptill the end of the park which marks the beginning of the (shrinking) Mithi river. Early morning sunrise and evening sunset are the best time to be here. The location looks beautiful during the migratory bird season from October to March. The park has an amphitheater and a video room often used to educate children on their school trips. And the place is also home to botanical research students. Occasionally, ‘Farmer’s Market’ for organic fruits and vegetables is organized, mostly during weekends. If you prefer quieter environments, these are one of those days I would recommend to stay away from this place. Although, even if you happen to visit on those days, most of the crowd never really ventures deep into the park; so it is still an okay decision. There is no place to sit anywhere once you venture inside the park. So, if you are tired you will have to return to the office premises or the amphitheater. This makes sense really, as it helps in reminding the tourist that he is a visitor and the park belongs to the birds and trees allowing them to feel more at home. And, there are no restaurants or cafes in the park and neither is it recommended to bring outside eatables in the best interest of birds and trees. Bring your cameras along. Maharashtra nature park is a haven for photographers. 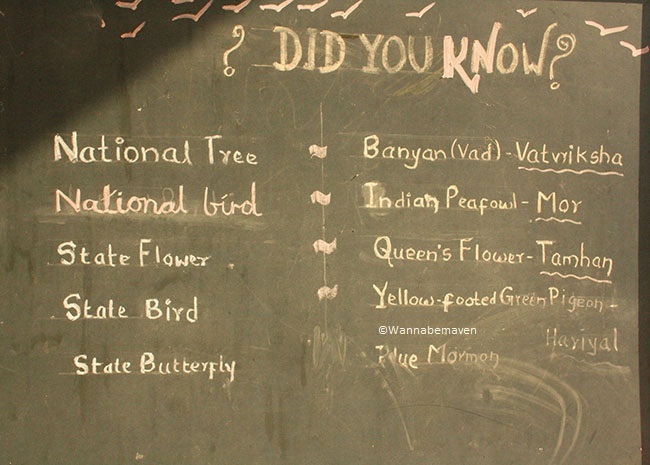 Butterflies, variety trees, migratory birds, polluted Mithi river and the occasional snake spotting, Okay! the last 2 weren’t exactly photographic expressions, but nevertheless are completely worth a click. Guide facility is available with prior intimation. Park is open from 9:30am to 5pm. Start your day early, it’s a nature park after all where viewing is better done in broad daylight. Entry charge is Rs. 10 per head. It’s rather amusing to know why a uniquely beautiful place like Maharashtra Nature Park has not caught the attention of many. I can think of 2 reasons – First, the place has been a dumping ground for a long time besides being home to some notorious activities until the concept of a nature park was conceived; And second, the place intentionally keeps a low profile as more visitors would mean more littering and noise pollution by insensible tourists. Whatever the reasons, I am glad to have discovered this place. The Maharashtra Nature Park comes in as a breath of fresh air in Mumbai, quite literally!! Bird watching, Nature, Nature trail, Parks, Photography, School Tours, Sightseeing, Solo travel, Things to do in Mumbai, Travel, Wildlife. Bookmark.